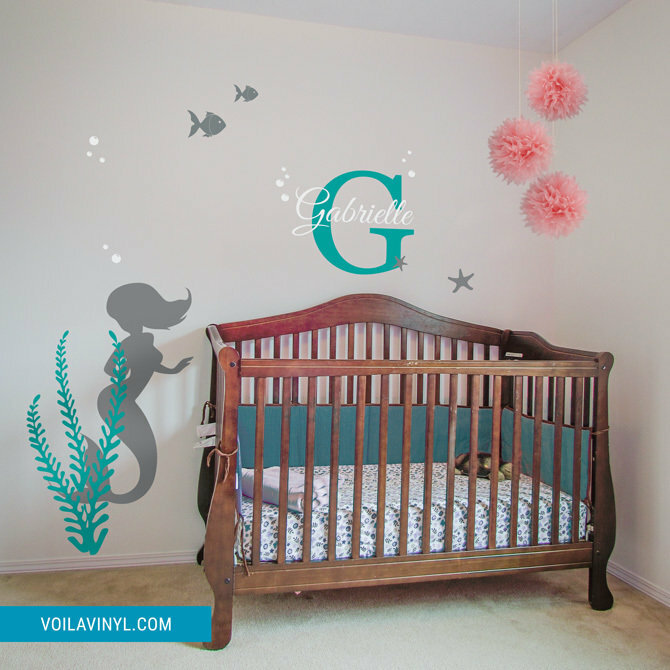 This mermaid decal theme is perfect for your baby girl's nursery. When she outgrows it, just remove it without damaging your wall. 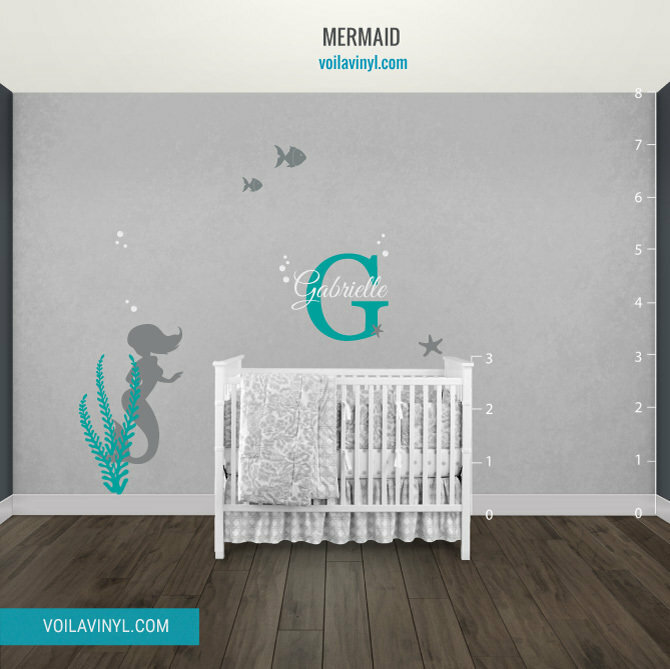 All our wall decal are completely removable and easy to install. 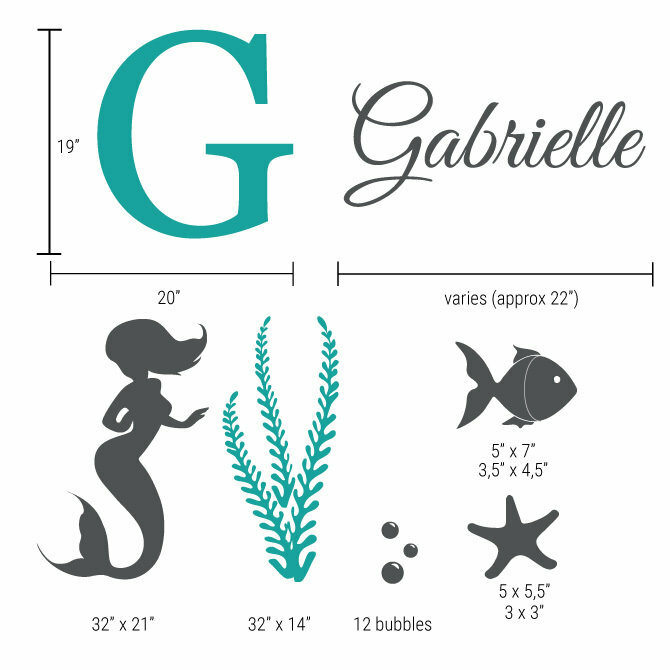 This decal consists of a name + capital letter of your choice, a mermaid, a seaweed, two fish, 2 stars and 12 bubbles.